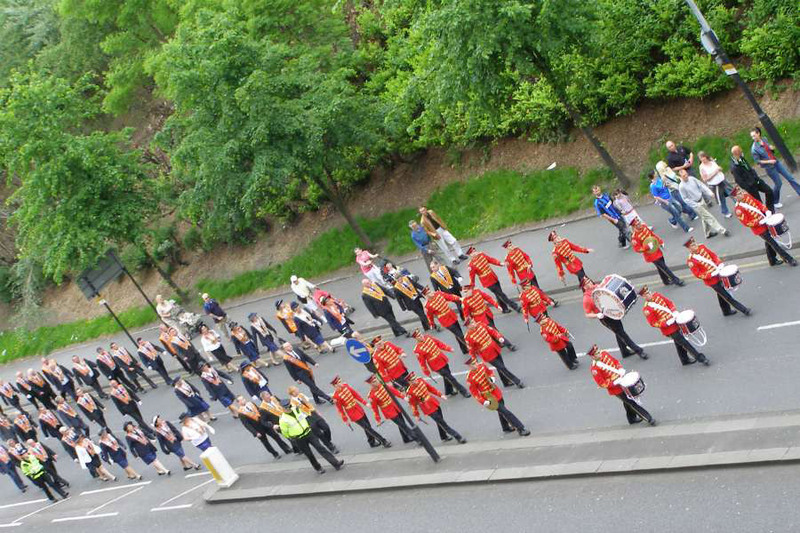 A 2008 Orange walk in Glasgow. Photo: Credit Hugh Gray. The Archdiocese of Glasgow has welcomed the city council’s decision Monday to reroute a Protestant march which was to have passed by a Catholic parish where a priest was allegedly assaulted when a similar march passed by in July. Canon Tom White, 43, was greeting parishioners after Mass that day when an Orange march approached St. Alphonsus parish. According to the Archdiocese of Glasgow, Canon White was spat at, verbally abused, and lunged at. A 24-year-old man was later arrested and charged in connection with the alleged assault. Some subsequent Glaswegian Orange walks were cancelled after outcry over the attack on Canon White. Scotland has experienced significant sectarian division since the Scottish Reformation of the 16th century, which led to the formation of the Church of Scotland, an ecclesial community in the Calvinist and Presbyterian tradition which is the country’s largest religious community. An April poll of Catholics in Scotland found that 20 percent reported personally experiencing abuse of prejudice toward their faith; and a government report on religiously-motivated crime in 2016 and 2017 found a concentration of incidents in Glasgow.